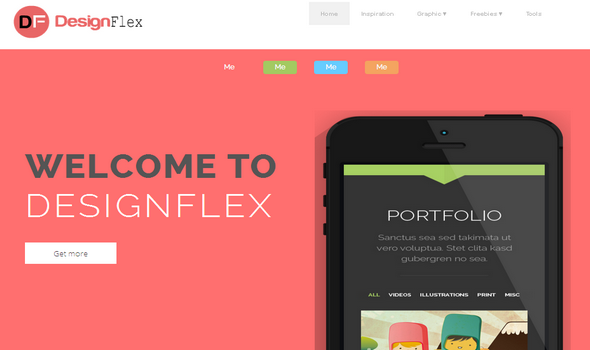 Design Flex is a 100% responsive layout, Perfect theme, super elegant, premium and stylish blogger theme. Design Flex is ideal for designers and photography or perfect for portfolio based website. This theme has so many splendid features and perfect for designers and developers. If you are a developer, photographer or designer and want to showcase your work with your clients, customers and friends then Design Flex is a perfect theme to fulfill your requirements. We have integrated a cute responsive portfolio gadget that would display your work, projects professionally and will bring awesomeness in the design.